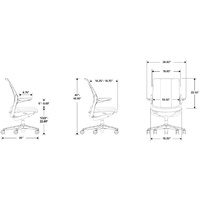 The Diffrient Smart Chair's unique, linear appearance maintains the Tri-Panel Mesh and Weight Sensitive Mech noted across other Humanscale chairs. 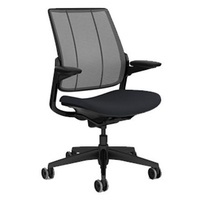 The Smart Standard chair from Humanscale maintains the aesthetic and ease of use that all Humanscale chairs are famous for. 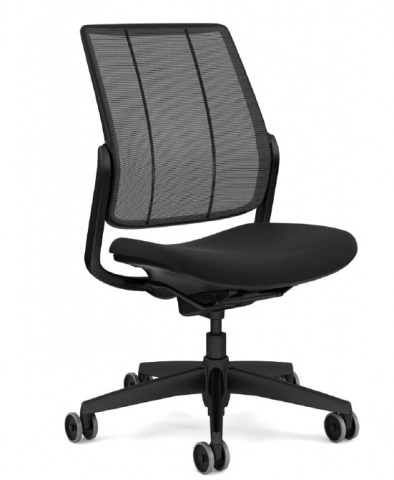 Although, the Smart chair encompasses more of a unique, eye catching linear design. 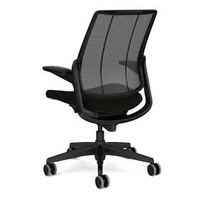 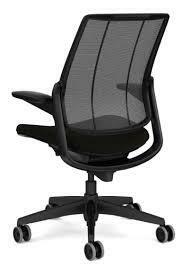 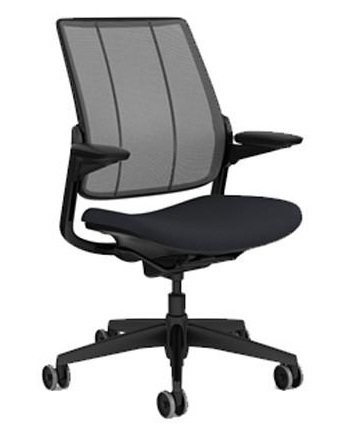 It also boasts the tri-panel mesh backrest with form-sensing mesh technology noted across other Humanscale Mesh Chairs. 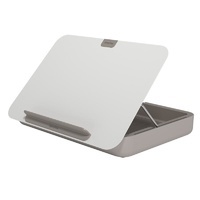 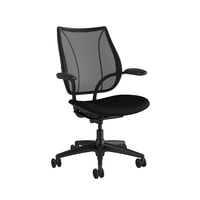 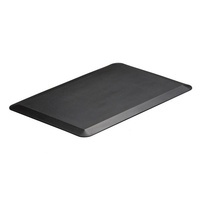 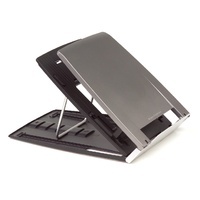 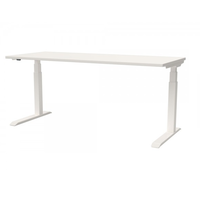 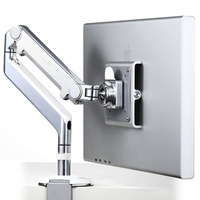 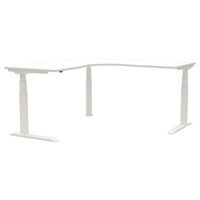 This technology allows for the mesh to adapt to the individuals lumbar support requirements. 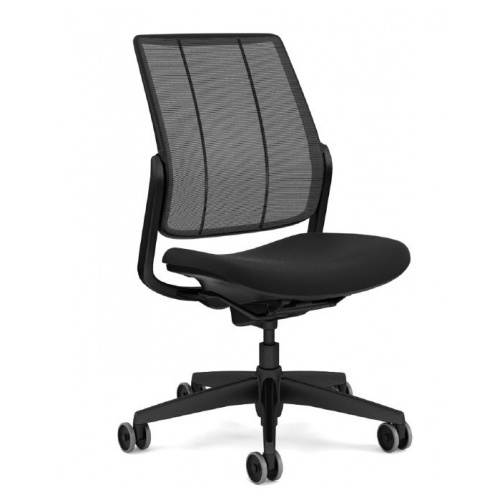 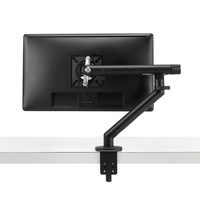 The backrest also includes 7 degrees of automatic tilt to furthermore assist with finding the perfect lumbar support position.